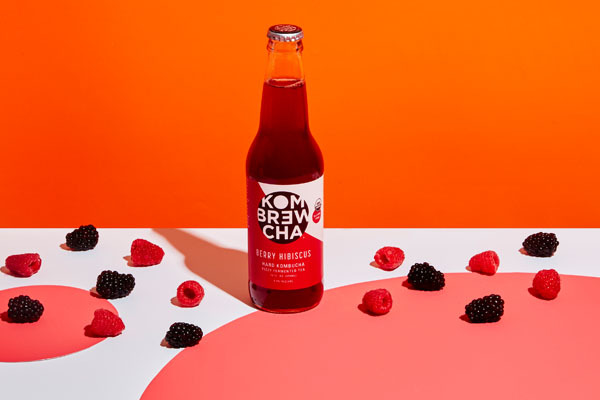 Kombrewcha, a first-mover in the alcoholic kombucha category, is back, with a new and improved 3.2% ABV version of their fizzy fermented tea. 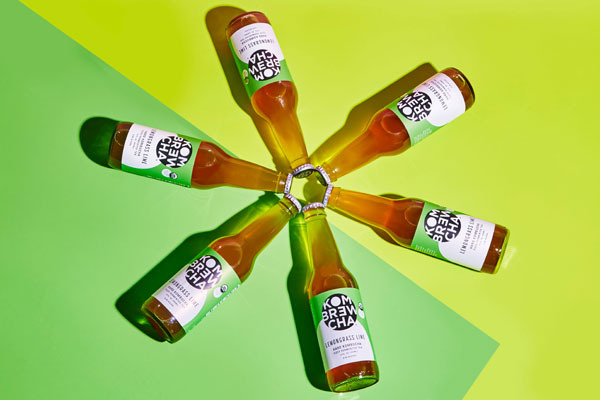 With each bottle coming in at under 110 calories and 9 grams of sugar, this organic, gluten free brew is aimed to be the healthier alternative​ ​to​ ​high-calorie​ ​cocktails,​ ​beer​ ​and​ ​wine. 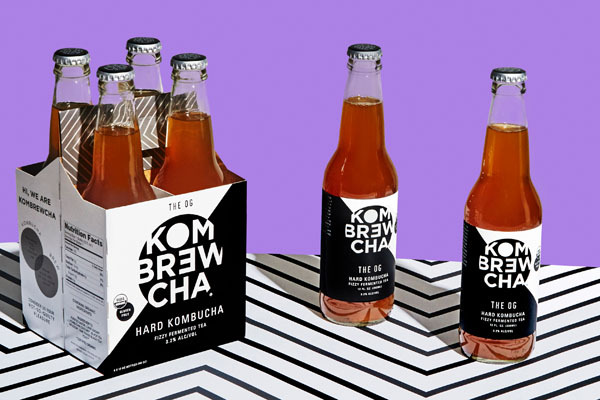 While the naturally-occurring alcohol found in kombucha has been minimized by brands in the past, Kombrewcha decided to embrace the alcohol and position the brand as a recreational beverage, not a functional one. “We decided to up our alcohol content to really push ourselves into social occasions, while still keeping a low ABV. We are keenly aware that sessionable drinks are leading the way amongst health-conscious consumers and at 3.2% ABV, we are giving consumers a way to socialize without compromise,”​ ​says​ ​CEO​ ​Garrett​ ​Bredenkamp. Kombrewcha uses all natural ingredients – organic black tea, organic cane sugar, organic yeast, and a SCOBY, ​finished with organic fruit. It comes in four refreshing flavors – The OG (Original), Berry Hibiscus, Lemongrass Lime, and Royal Ginger- each unique in flavor profile, with real fruit notes. The new, eccentric, and colorful packaging is representative of the brand’s fun and cheeky persona. “We wanted our packaging to reflect not only who we are as a brand, but who we are as a product. We’re truly one of a kind and we wanted​ ​our​ ​packaging​ ​to​ ​reflect​ ​that,”​ ​says​ ​Marino. 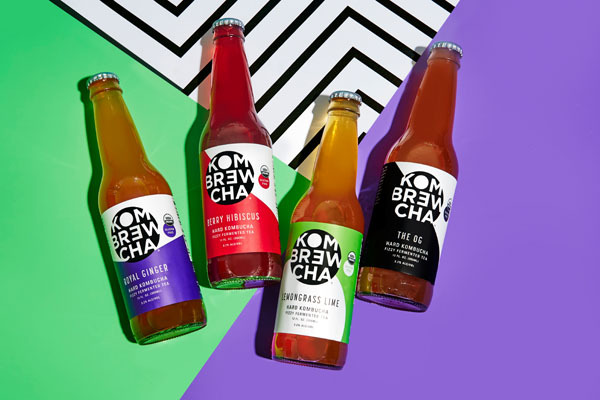 Kombrewcha has joined forces with Whole Foods in both New York City and Miami as their key relaunch retail partner, available in 4-packs of 12 oz. bottles. ($9.99, though prices may vary.) 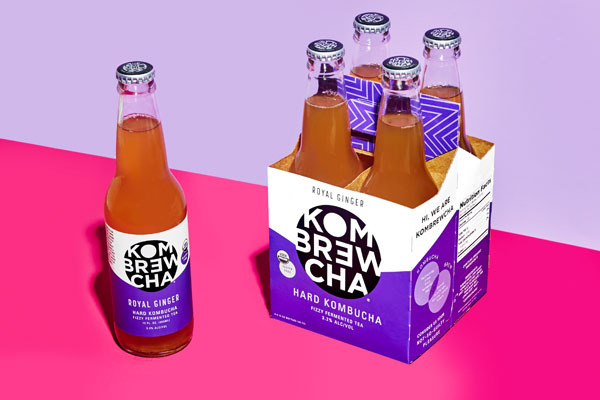 Kombrewcha is also rolling out on draft at select bars and restaurants, with the shared vision of creating an entirely new category of alcoholic beverages, Hard Kombucha. To find Kombrewcha near you, please visit www.kombrewcha.com​ ​or​ ​check​ ​out​ ​@kombrewcha​ ​on​ ​Instagram.